Each year The Australian newspaper asks for nominations for its Australian of the Year recognition. 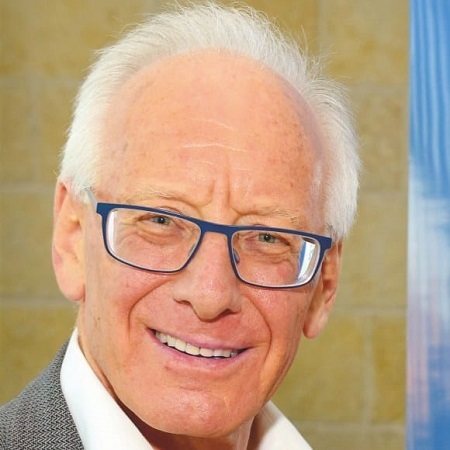 Hadassah International is proud to announce that this year Hadassah Australia’s President Ron Finkel has been nominated for recognition by the newspaper. Ron had previously been awarded the honor of Member of the Order of Australia* for his work for Hadassah and Israel. When Ron Finkel’s second son was born at Hadassah Hospital’s Ein Kerem campus in Jerusalem in 1981, he realized something special was happening around him. In the hospital, which treats all patients regardless of religion, nationality and ethnic origin, Mr. Finkel saw how medicine could break down barriers and connect communities. “It became clear to me that health is a space where bridges to better understanding can be built respectfully,” he said. Several years after his return to Australia, Ron was encouraged by Hadassah International to found Hadassah Australia in Melbourne. Working diligently over the years to build support for Hadassah and to bring the Australian Community closer to Hadassah and Israel, Ron has been fulfilling his dream of helping to build bridges to peace. At Hadassah Israelis and Palestinians to get to know each other. “With the absence of knowing the other … narratives, often ­extreme narratives, can take hold,” he said. *The Order of Australia is an order of chivalry established on 14 February 1975 by Elizabeth II, Queen of Australia, to recognize Australian citizens and other persons for achievement or meritorious service. Before the establishment of the order, Australian citizens received British honors.